Send flowers to Manila using our network of local florists & flower shops. Send Easter Flower Arrangement, Easter Hampers & Gift Baskets to Manila, Philippines. The world's most sought after luxury floral ensembles are now available in a vase near you at surprisingly affordable prices and with an extended array of Gifts! Featuring international brands, sleek designs, clean cuts, and elegant accessories - our chic international ensembles have been thoughtfully crafted to suit urban sensibilities. Gift in style and choose from our vast collection of Flowers, Hampers, Soft Toys, Perfumes etc. 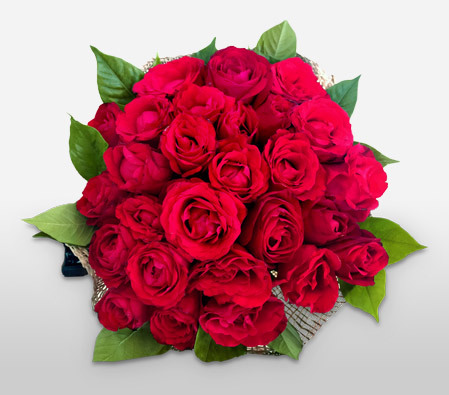 The best flower delivery to Manila is done by Flora2000 from anywhere in the world. Looking to send fresh flowers or gifts delivery to Manila, we are your local flower shop for affordable flower delivery across Manila and it's neighbourhoods places like Binondo, Dilao, Ermita, Malate, Pandacan, Quiapo, Sampaloc, San Miguel, Santa Ana, Santa Cruz, Tondo. With Flora2000 International flower delivery to Philippines, you can be sure that your arrangement will not only reach its destination on time, but also in fresh and perfect condition. To send cheap flowers to Manila, use our services as we work with top professional local florists and flower shops in Manila. Same Day flowers and gifts are hand delivered whereas Next Day flowers and gifts are courier delivered. With more than 2 million happy customers served, we are your favorite online florist for gifting flowers online since 1999. Ordering flowers to Manila Philippines was never so easy. Filipinos in Manila love expressing their passion with flowers. Most popular flowers in Manila are Roses, Carnations, Lilies, Tulips, Orchids, Sunflowers, Gerber Daisies and the list is endless. With Flora2000, you can send flowers to the Manila and major suburbs like Binondo, Dilao, Ermita, Malate, Pandacan, Quiapo, Sampaloc, San Miguel, Santa Ana, Santa Cruz, Tondo and citywide delivery. Ordering easy online flowers to Manila makes it possible to browse through the large selection of fresh flowers available, make a purchase and set up a same day delivery or a next day delivery through LBC Express Philippines or DHL courier. Flowers are delivered right to the recipient’s door. We work with the best Manila local florists and flower shops in Manila to guarantee premium flower delivery. Same day flower deliveries are made if you place your order before 12 noon PST – Philippine Standard Time. But Flora2000 is not just about flower delivery in Manila, we have exclusive gifts like Hampers, Perfumes, Soft Toys, Spa Baskets, Fruit Baskets, Chocolate Hampers and the best collection of fresh Cakes, which your recipient will fall in love with. In Manila there is a huge demand for long-stemmed Roses during Valentines Day. To get ready for your Red Roses to be delivery on 14th February, make sure your online order is placed at least 15 days in advance. Apart from Valentines Day, Christmas in Manila is also celebrated with much fanfare. Its the season to be jolly and spread joy. Send Christmas flowers and Centerpieces to Manila sameday from anywhere in the world. It's that time of the year to celebrate the spirit of love. Let your sweetheart know how you feel about her. Why not book an early surprise to SAVE BIG? Pre-Book from our Valentine's Special Manila Collection of Lovable Flowers, Exquisite Gifts & Magnificent hampers.